TORONTO — A colleague recently asked me to name my favorite athlete. “Billie Jean King,” I said. Cota is not a world-famous superstar. But when I was a die-hard Tar Heels basketball fan growing up in small-town North Carolina, he might as well have been God. Cota came up during the amazing era of Antawn Jamison and Vince Carter, in the final decade of Dean Smith’s lengthy tenure at the University of North Carolina. Cota ran point for the team, and I admired his ability to stay cool under pressure, especially during high-stakes Carolina-Duke games. Cota’s Blue Devils counterpart, Steve Wojciechowski, was pestering, relentless and scrappy, the way you would imagine a gnat would be if it one day woke up and found itself gifted with humanity and the ability to play ball. But Cota’s style was studied and patient, and although he didn’t play with a ton of ego, he was an extraordinarily skilled ball handler. He trusted Smith. He trusted in the abilities of his teammates. I adored him. Once I’d settled on Cota, there was no shaking him from the top spot in my mind. Then I saw The Carter Effect. The documentary, from director Sean Menard, illustrates the enormous impact Carter had playing professional basketball in Toronto. Carter joined the Raptors in 1998, just three years after the team was formed. Originally he was drafted by the Golden State Warriors and Toronto took Jamison. But they traded. Carter proceeded to make the city, then Ontario, and then the whole of Canada, fall in love with him. For seasoned college basketball fans, especially ACC fans, Menard’s film evokes the sort of fun that’s hard to come by these days, either watching or covering sports — wide-eyed, oh-my-God-how-did-he-do-that, childlike fun. The business of professional sports is enough to make anyone cynical. But Menard highlights why Carter was such a singular figure in Toronto, how he came here and made it his town, painting it with the youthful, athletic exuberance of his jaw-dropping dunks. Showcasing Carter’s talents, Menard made me remember why I loved watching Carolina basketball as a kid. And that’s what’s special about Carter and the film. The Carter Effect is a fairly conventional sports documentary, full of talking heads and highlight footage. But it brings forth revelations about the relationship between an athlete and the city he reps. The magic of Carter didn’t just spawn more basketball fans north of the border, it invigorated a nightlife that sprang up to meet his needs. Really. Bottle service was not a thing in Toronto until Carter opened a club and brought it here himself. Carter’s amaze-balls 360-degree dunks created a generation of Canadian basketball fans where none had previously existed. Some of them, inspired by Carter, grew up to become NBA players themselves. By far the best and most painful discoveries about Carter are those that deal with his relationship with McGrady, his former Raptors teammate, and what might have been had McGrady not left Toronto to play for his hometown Orlando Magic. In his efforts to find out what happened after McGrady left, Menard taps a storyline as emotional and dramatic as any narrative film screening at this week’s festival. He builds context for understanding the tense, terse Carter who emerged in news conferences post-McGrady. The Carter Effect shows how Carter, who really was a 6-foot-8 kid, turned into an unhappy, grim-faced adult worn down by the business of basketball. But it also showcases how much one person can influence the sports culture of an entire city. “Basketball is now embedded in Canada,” former NBA commissioner David Stern says at one point. No wonder Carter was booed for years every time he returned to Toronto while playing for the New Jersey Nets, where the Raptors’ misguided management had traded him. It was like a bad breakup between city and player, with broken hearts on both sides. After watching Menard’s film, I was momentarily forced to rethink my views on Cota. Carter may not have unseated him, but by God, he comes close. 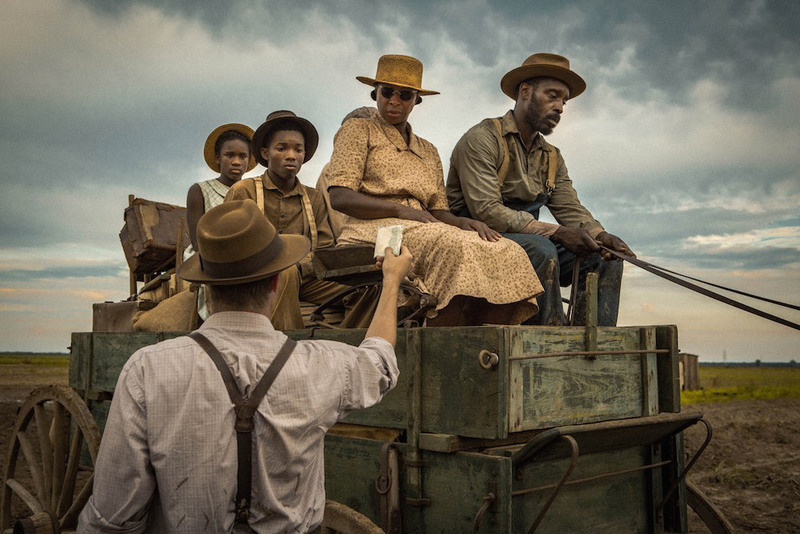 Garrett Hedlund, Mary J. Blige and Rob Morgan appear in Mudbound by Dee Rees, an official selection of the Premieres program at the 2017 Sundance Film Festival. Courtesy of Sundance Institute |photo by Steve Dietl. Reader, I implore you. Prepare yourself. Because you’re going to be hearing about Mudbound a lot. Like, through March 4, 2018, a lot. Mudbound is the sophomore feature film from Dee Rees, who broke out in 2012 with the stunning Pariah. (It’s her third if you count the HBO film Bessie.) The film, produced by Netflix, enters theaters Nov. 17, and frankly, it seems cruel to make cinephiles wait that long. It follows two families, the Jacksons and the McAllans, one black and one white, through their lives on a farm in the Mississippi Delta from just before World War II to just after it. Rees has a knack for pulling gutting emotional performances from actors, and she gets some stunners from Mary J. Blige and Garrett Hedlund. Veteran Carey Mulligan is reliably lovely. And Jason Mitchell, who most will remember as Eazy-E in Straight Outta Compton, is astonishing as Ronsel Jackson. Ronsel is a war hero who goes off to fight the Germans, only to come home to a country that still hates him. I’ll publish an in-depth review closer to the film’s release date, but know that as a director, Rees has the gifts of confidence and patience. She lets her films unspool, trusting that viewers will remember and understand the choices she’s immersed them in and put the pieces together themselves. Her work with Mudbound screams that she’s absolutely right.